"Fans know that seeing the Bonnie 'Prince' live is an experience akin to but unlike hearing his records -- it's the same man up there, but changed, somehow. And his impulses seem to be entirely switched out. Songs get the radical retune at the drop of a hat -- and with every new collection of musicians, a different version. 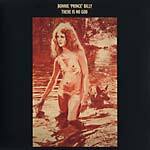 That's what we have here, a set of classic Bonnie songs (and the odd Palace number) affected by their players and the environment to climb new heights time and again. Rocking and raging, dropping to whisper and lilting where they once ran, the songs are part of the joyous affair between Bonnie and his fans. The energy of these shows is in the recordings along with the music -- for you to feed off of too."